Preheat the oven to 350°F and prepare the brownies according to the instructions on the box. In a small muffin mold, fill the spaces with the cupcake liners and fill with the mixture. Bake according to the instructions and let cool for 20 minutes. Cut each brownie in half and spread the dulce the leche with a knife. Finally, put the pieces back together and enjoy. If you can’t find dulce de leche you can make it yourself by cooking a can of condensed in a pressure cooker. You should only submerge the can in enough water to cover it completely, let cook for 60 minutes. Dulce de leche, manjar blanco, cajeta or arequipe, whatever you chose to call it, this sweet temptation is incredibly popular in Latin America and is the perfect addition to chocolate. The proof is in this recipe. 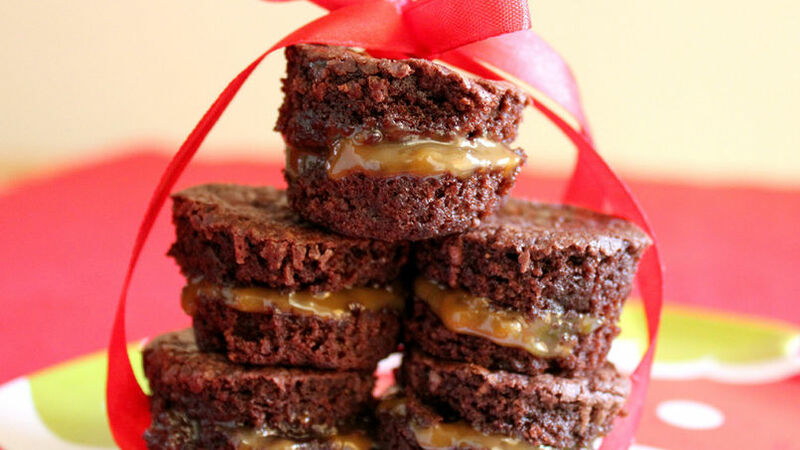 These dulce de leche brownies are the perfect way to surprise a loved one and sweeten a special moment.